Reusing resources and products is an ideal way to preserve the environment and save energy resources. By reusing products, we eliminate the need for resources that would have otherwise been consumed by manufacturing the product again. By reusing a product or material, the resources that are put into making the product are preserved and the product is used till the end of its natural useful life span. This is an added benefit of reusing. On the other hand, recycling products involves processing the discards where considerable energy is spent in cleaning products before they are recycled. Reusing products is a way in which quality products are made accessible to people with limited means. At the same time it is a source of employment and revenue. Reuse not only has a significant social impact, it also helps to reduce the amount of trash that accumulates in landfills. There are a number of products that can be effectively reused after a little cleaning and maintenance. Some of these include building materials, lumber, hardware, appliances, household goods, clothes, computers etc. 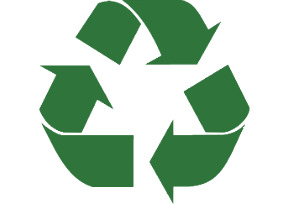 With careful thought, a number of everyday items can be reused for different purposes. Twist ties can be used to secure cables together or tie other things. Paper bags can be used as wrapping paper while carrier bags can be used for shopping eliminating the need to constantly depend on plastic. Envelopes can be reused by sticking address slips over them. Old newspapers can be reused as packing materials. Old clothes and textiles can be reused to make other fabric items such as cushion covers and patch work quilts. Building a compost bin is another ideal way to reuse the trash that you throw out. A compost bin will help in degrading vegetable waste such as vegetable peels and tea bags into compost which can be used as fertilizer for plants. There are a number of non profit agencies that are dedicated to the distribution of discarded yet perfectly usable items ranging from clothing to electronics, furniture etc. These agencies work entirely on a contribution basis and are even staffed by volunteers. Such agencies are found across the world and are either open to reuse of any product or specialize in only one range of products. An example is the Perth Bike Recycling project which aims at collecting unused and unwanted bikes and then refurbishing them and distributing them amongst the disadvantaged. Bikes are accepted in any condition as they can be cannibalized for parts that can be used to restore other bikes.